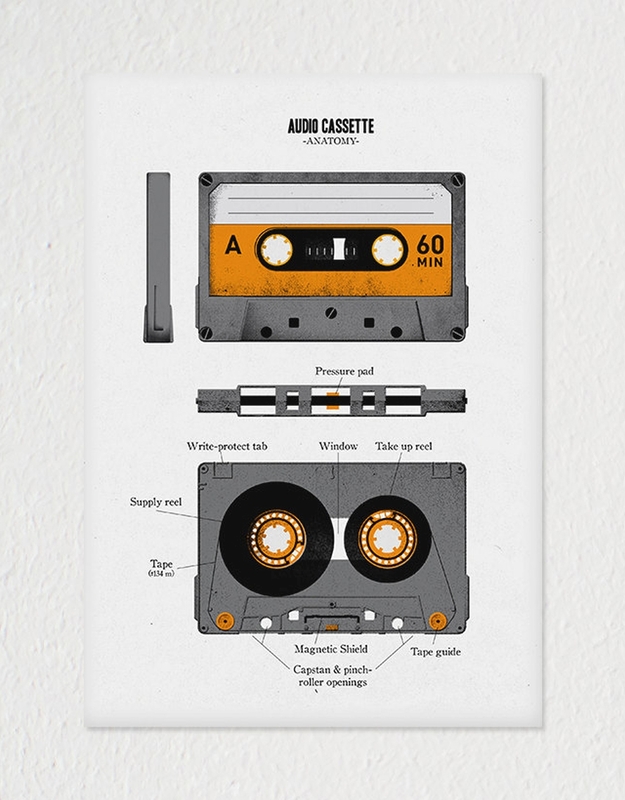 Anatomy of an Audio Cassette by Belgian artist Ramzi Mesaddek illustrates and labels all of the various parts that make up an audio cassette tape. Wow, I have extensive first-hand experience of those parts. Have you ever rewound a tape with a pen?